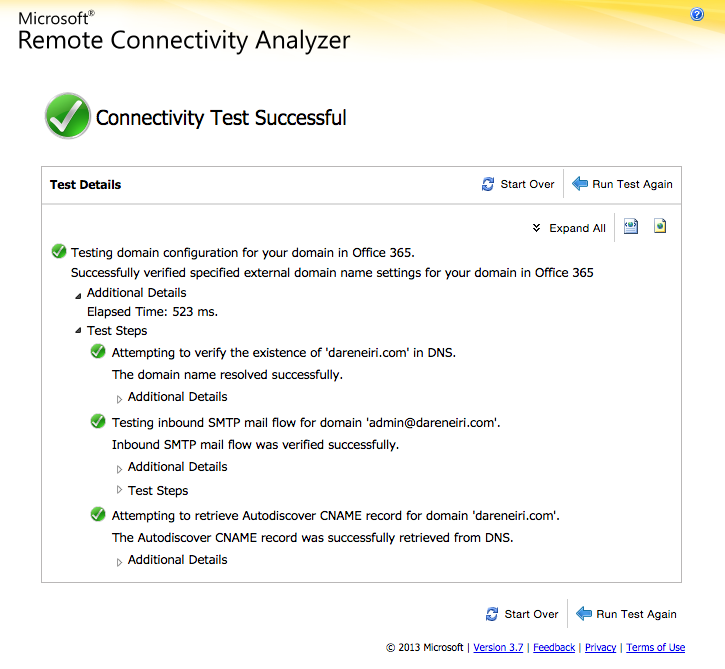 In an effort to diversify my skill set, I have been spending more time working with Office 365, with the end-goal of taking the MS-Exam 70-346: Managing Office 365 Identities and Requirements certification test. Subsequently, I would take the 70-347 if all goes well. There are some great resources online, but they’re scattered out there. 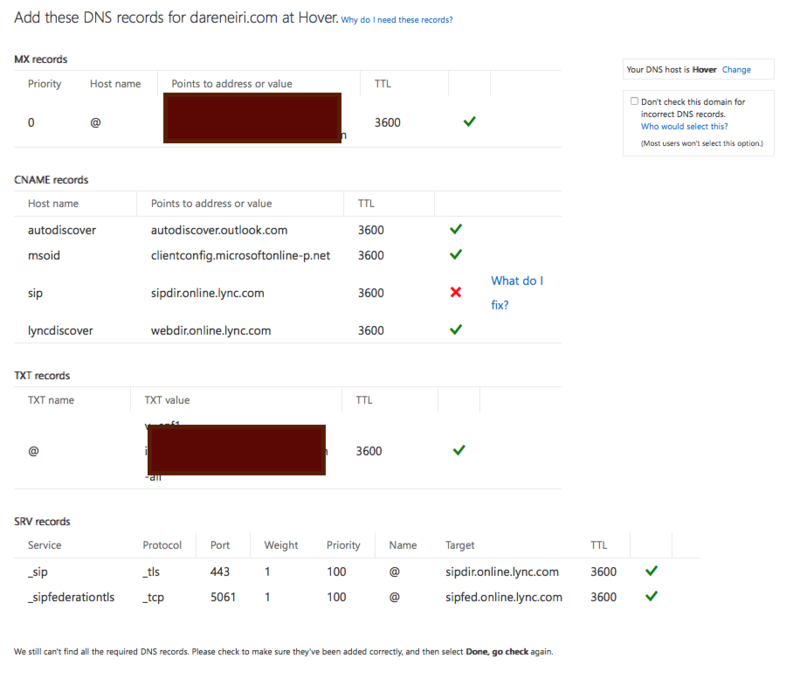 In another post I’ll provide more detail about that, but I wanted to focus on an issue I encountered while provisioning Office 365. 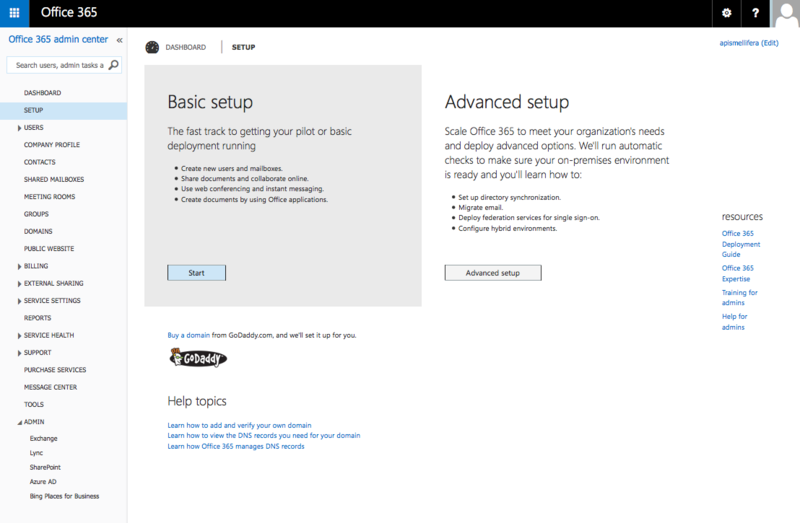 By the way, if you don’t have a live environment with Office 365 available, you can set up a demo environment for 90 days, for free. When a tenant is up and running (took me more than 24 hrs), the first thing you do is go through the Basic Setup process. 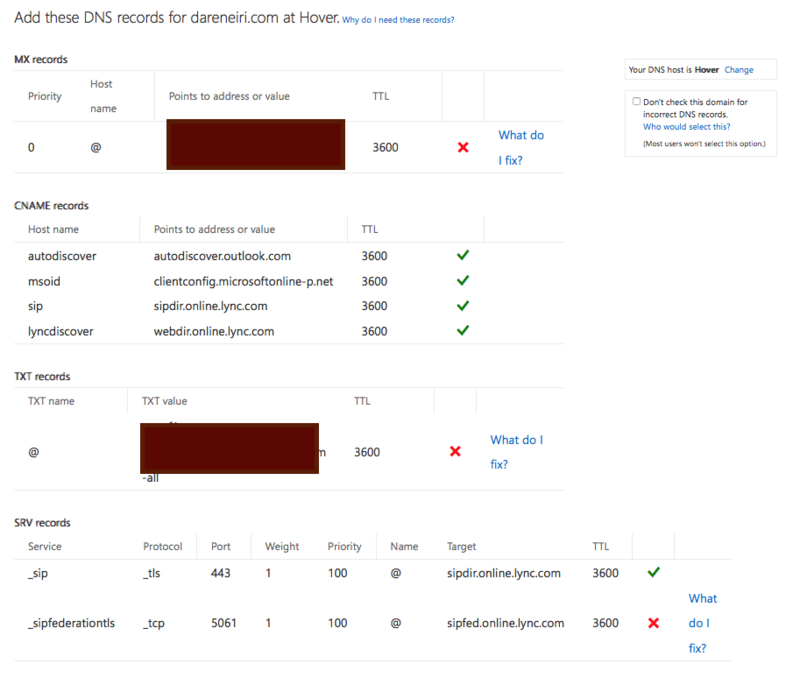 This guides you through the process of connecting your domain name (in my case, dareneiri.com) to Office 365. 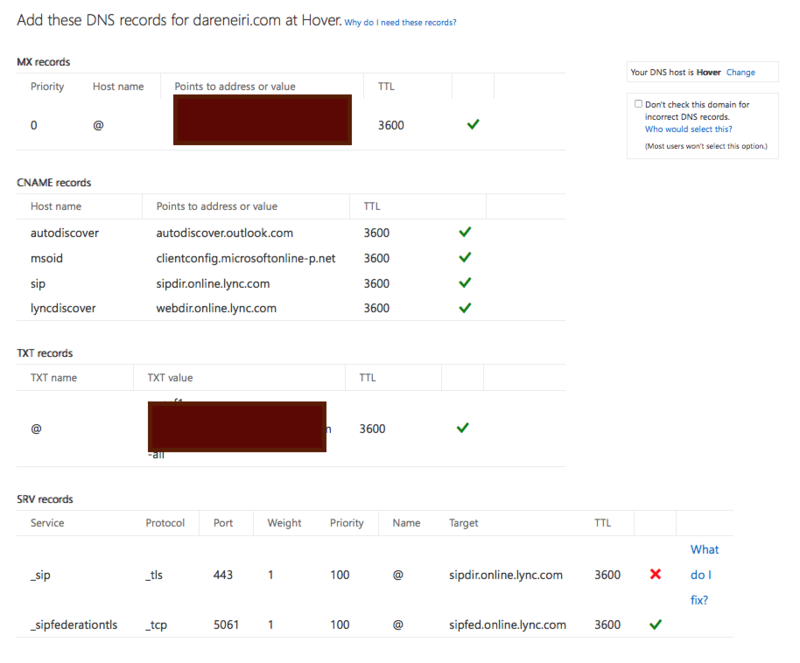 This way, instead of having some long address (i.e., @apismellifera.onmicrosoft.com), the addresses of your users in this demo will be @dareneiri.com). You can read more about this Basic Setup process here. I wasn’t able to find much information about this issue online, and whether this is common. 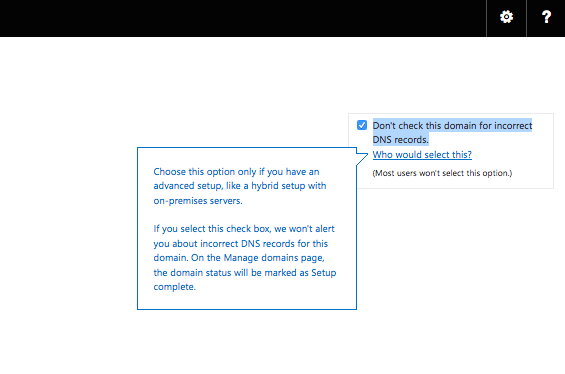 But from what I can tell, if you experience the same problems, feel free to ignore the problem and check the “Do not check this domain for incorrect DNS records” option From Domains > [Your domain] and “Find and fix issues” link.